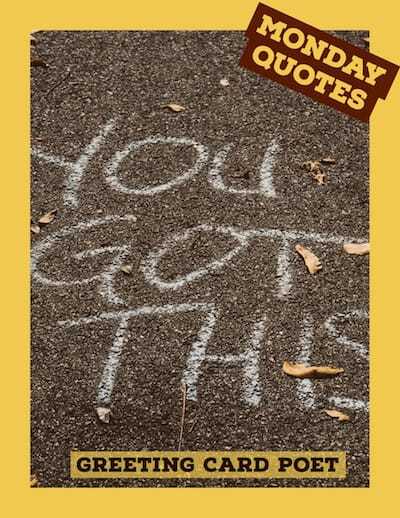 These inspirational Monday quotes and sayings are here to help you get through what many consider to be the toughest day of the week. The transition from Sunday to the first work day of the week is a mundane part of almost everyone’s life. This is mostly because it’s hard to break from the carefree feel of the weekend and enter a hectic new week. There are many other contributing reasons that can make the start of the workweek a big challenge. Almost everyone shares their feelings for the start of the week. Many are weary and feel lazy to kick start the week. Many are worried about the burden of work that awaits them at at the job. 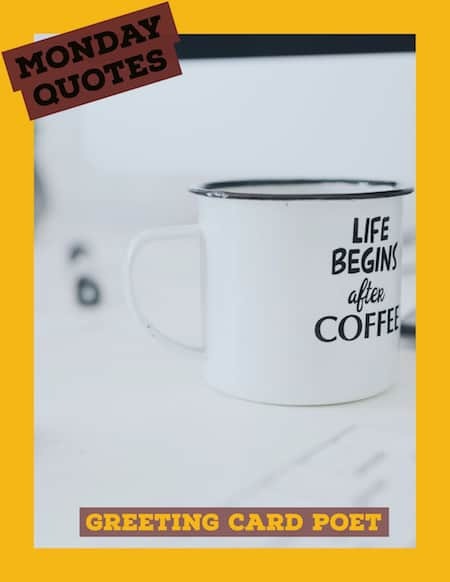 If the “M-day” is a challenge for you, here are some inspiring sayings to make you feel better and take on the challenge of the day with high spirits. I swear it was Friday like 5 minutes ago. Oh Hello week, let’s do this. Hey, I know its Monday but it’s also a new day, a new week, and in that lies a new opportunity for something special to happen. It’s not bad, if you start day with a grateful heart and do what you really love. Oh, come on. It’s a day, not doomsday, make it a good one. Too cold, too early and too Monday. I elect to stay in bed. Your Monday morning thoughts set the tone for your whole week. See yourself getting stronger, and living a fulfilling, happier & healthier life. It’s a day – not my favorite – but, keep smiling. Grab some coffee and be awesome! This day should be optional. Perfect time to reboot your mind and have a fresh start. Hey Monday, my Momma don’t like you and she likes everyone. Maybe Monday doesn’t like you either. If you meet people who make you happy during Mondays, then it won’t be as hard. Dear Monday, thanks for having the word mon in you. That’s French for mine, in case you weren’t aware, but it makes me think of you more as my day, and frankly, that sounds like a much more promising start to the week. If you start the week with a positive attitude, it’ll be a lot easier to fight off negativity the rest of the week. Sunday and Monday kickstart the week. Gotta make every single day count, no matter what day it is. It’s the perfect day to correct last week’s mistakes. The biggest thrill wasn’t in winning on Sunday but in meeting the payroll on Monday. For me, the first business day represents a fresh start to the week. It is the day where the slate from the previous week is wiped clean. It is a day of new beginnings. May your coffee be strong and your day be short. Success is to wake up each morning and consciously decide that today will be the best day of your life. You are in control. Never allow your Monday to be manic. Don’t let the word Monday scare you, do something awesome. Check out our Good Morning Messages and Texts. Do what your love and what makes you happy and Monday will become your favorite day. For more Quotes Good Morning. Wake up every day knowing that you can create something amazing this week. New day, new week, new challenges, new opportunities and new blessings! Let’s get this day started. Good Morning! If Monday is strong coffee, don’t despair and add a few pieces of sugar to make it tasty and sweet! Monday is a perfect day for the expansion of the boundaries and the implementation of all plans. And then comes Tuesday Quotations. Don’t let a day of the week have so much power over your happiness. Don’t let anybody to mess up your day, handle your business and be successful today. Don’t victimize yourself and let life pass you by as you sit around and complain about problems. Be empowered and create solutions. You can! Have a blessed Monday, remember that it is the first day without mistakes. Do not leave your smile and good mood at home. Monday is a great for becoming too busy to die. With enough coffee, even today looks good. Wishing you all a great week, filled with smiles, happiness and all of the good things! 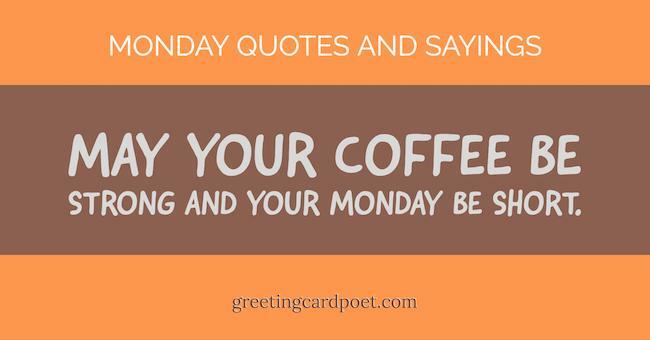 Tip: These Monday quotes make great captions for social media. It’s a brand new week, filled with promises and endless possibilities. Believe on Monday the way you believe on Sunday. Let’s make it a positive and productive week! Be proud of the strides you’ve made and BE EXCITED about what YOU WILL accomplish! Make each day the day of your triumph, stay brave, strong, and reach success! Every day is a gift, so don’t be impolite, gifts cannot be returned, so accept it and spend with pleasure. If you have suggestions, please let us know via the Contact page. Thanks!